Choosing the right basketball shoe for you is not as easy as you may think. 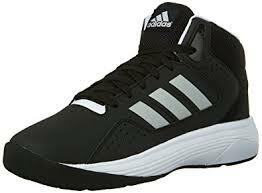 Anybody who has decided to invest some money in a trainer for basketball or even just for casual wear will be blown away by the sheer choice. Size, height, material, support, weight and many many other elements come into play when choosing just what is right for each individual person. All these technical points make a difference to the comfort of the wearer and all depend on what the wearer will be doing. This article will help to break down each element of choosing the right shoe. A detailed breakdown of each attribute will be summarised and a few tips on what to look out for in each situation will be noted. After this, we will take a close look at a few of the available trainers on the market and see how they fare under scrutiny. 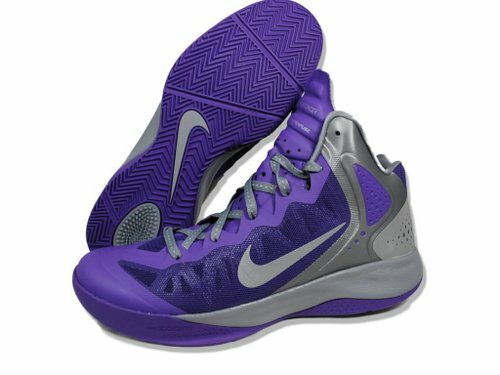 By the end, you will know exactly what to look for when shopping for men’s basketball sneakers. How to Choose Your Basketball Shoes. 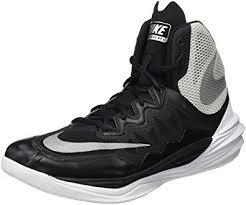 When looking at buying a new pair of basketball shoes, one thing will crop up over and over again; the ‘tops’. This word indicates the height of the cuff of the shoe you are looking at and they come in three variations and a few sub-sizes in between. Here are the three main ones to look out for. 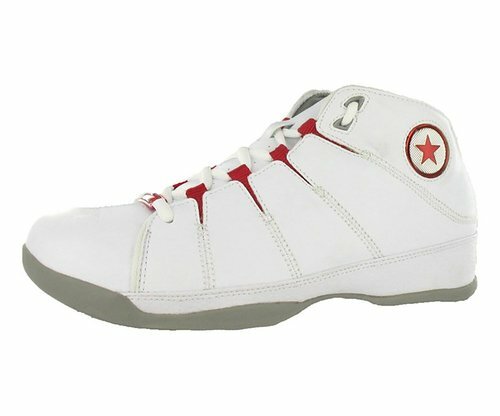 High Tops – These trainers are amongst the most common seen on the basketball court. Their high, boot like shape allow lacing the foot into a shoe further up the ankle and provide much more support against rolling and twisting. 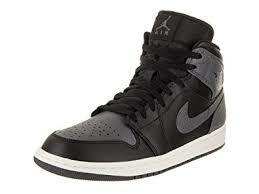 Mid Tops – Slightly higher than the average shoe and therefore slightly more support but less so than the High Top. They save on weight with less material. 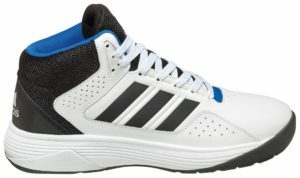 Low Tops – These are much more like the trainer seen in running and other similar sports. They do not offer much in the way of laced-in ankle roll support but are more often much lighter. They make for great fast speed manoeuvrers. It can be difficult choosing the right shoe. Many different factors come into play when deciding exactly what is right for you. Each person’s play style, weight, and movement is individual and when taking things like court position and court type into consideration also it can become a little overwhelming. There are certain things to look for when buying a pair of trainers. We can break them down and explain them a little to help you understand exactly why it matters and what would be right for you. staying stuck to the floor makes all the difference when moving around a court. Without any traction, movements would be slow, slippery and often leave you flat on your back. The grips on the bottom of the shoe are what keep you locked into the ground. If these grips are too weak, too sunken or placed wrong it will really throw your game off. The traction needs to be achieved all over the shoe and in every direction of movement. It is often the case that while forward and backward movement is sufficient, lateral movement is lacking or vice versa. An ill-fitting trainer will bring more than just a lack of comfort. It can be a real threat to the safety of your feet and ankles if not properly observed. As loose fitting shoe will allow the ankles to roll and the foot not to have the support needed over hard play and prolonged stress. A good quality shoe should hold the foot snugly and support and movements. 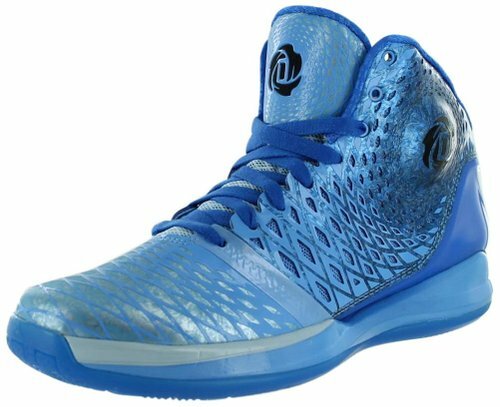 The soft layers of the shoe provide the feet with the forgiving padding that is needed to stop aching, damage when jumping and running and allow the player to stay on the court longer. Good cushioning supports the arches and prevents excess stress. Arguably the most important aspect of sports shoes is the support they provide the foot with when under the duress of a sports game. The strength of the material, fit around the foot and shape of the shoe all contribute to the support. The material used to make up the shoe makes a big difference to what you are looking for in a shoe. Some materials will breath much better than other, some will last a lot longer. Certain materials are waterproof and others will provide the shoe with a lot of strength. If you are paying for a pair of trainers you need to know that they will stand the test of time and not fall apart after a few wears. Nobody wants a sole that wears out on the court or leathers than split and comes away from the walls of the shoe. Looking good and holding up for a long time are very important points to look for. Apart from each of these separate elements, a big thing to take into consideration is the play style that they will be worn for. Different shoes suit certain parts of the court and different styles. 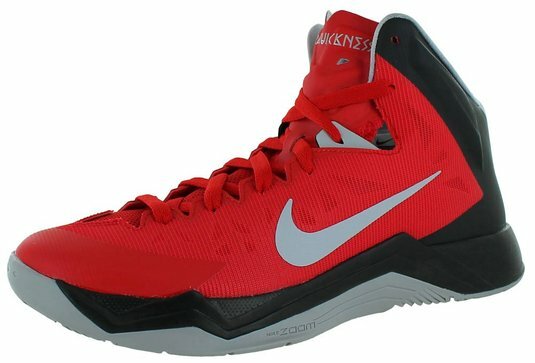 Looking at high tops, they give the support the ankle needs for jumping and not making speedy switches and running. For the mid court player, the all rounder mid-top suits. It gives the freedom to maneuver but support in case of the need for jumping. 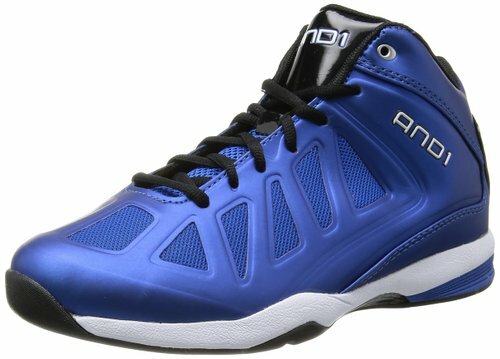 Low tops are for the speedy player who needs all the movement of an ankle, less jump support but more speed. 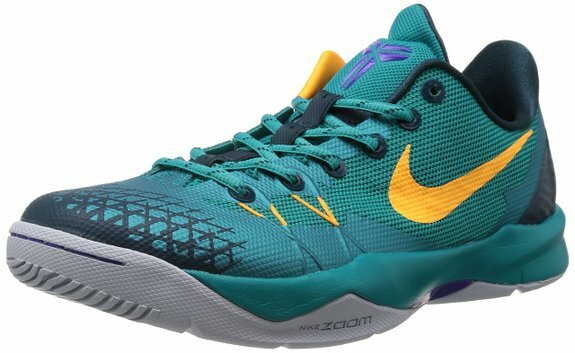 We can take a quick look at a select few basketball shoes across the range. We can break them down and point out the positives and negatives of each to make it easier for you to make a decision on each. Cloudfoam Innersoles for extra comfort on the court. Mid-top ankle gives great all-around support for the court. Only 363g for that lightweight play style. 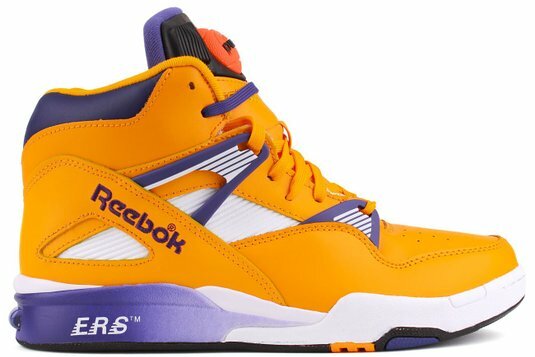 These trainers are produced by the well known and trusted Reebok company. There is a selection of either black or white on these particular shoes. 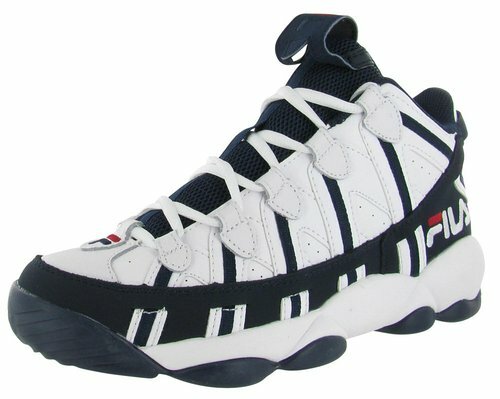 They are a mid-top cut and sport the recognizable brand name on the sides. 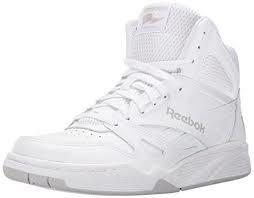 These are our first high tops in the review section. 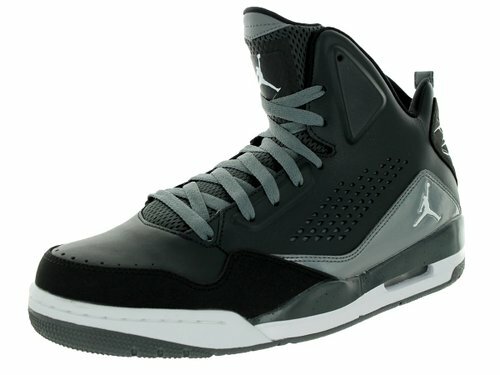 They will cost $98 but look expensive and come with a very stylish cut. 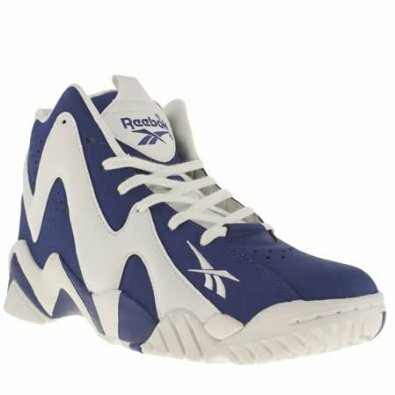 Although the shoes are high tops they use a low collar at the back the utilized a decoupled design which adds more support to the ankle whilst giving plenty flexibility. Decoupled collar gives maximum flexibility and maximum support. A lot of traction on the sole. Inners can be weak and come detached. quite a narrow fit for wider feet. soft sole better for indoor play. In contrast to regular shoes, these Cloudfoam Neo’s run in a wide size. This is better for the wider foot and will allow the wearer to have the space they need to stay comfortable and secure. It is a common problem to find shoes that don’t fit the wider foot. Wide Size for Wider Foot. Cloudfoam Tech for amazing comfort. 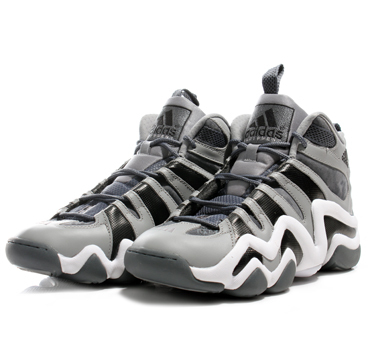 This range of trainers is renown all over the basketball scene. They come in a huge variety with retro’s being brought out from the old days and newer ones being produces all the time. Adorning the ‘jump-man’ logo, they will be recognised anywhere. Hopefully, this guide will have helped you make the decision as to what is right for you. You should understand the terminology, phrasing, and designs a little more. Knowing where you play on the court, how often and you price budget will, of course, make each decision unique. We can take a quick look at our favorite and conclude which the best all-rounder is. Taking into all the elements such as the traction, fit, durability, comfort, padding, and material leaves us with one clear winner: The Reebok Royals. These well-recognized trainers will set you apart on the court with a high durability, wonderful lock in with a great lace-up style and all the support you need.